There are too many amazing people in this world for you to think that your team are robots and just there for your every becandcall. Within every business there will be monotonous tasks that are far from flattering or interesting and other tasks that are fun and enjoyable to do. But it is up to you as a leader to motivate everyone, make them appreciate the work and take pride in every item that they deliver. No matter if your team is working in the trenches and do not directly report to you or they are your right hand man (or woman), take an interest in them, learn about their family, acknowledge what motivates them to work and try to show them that you are there for them if they need you to be. A great reminder that you are never too busy to care about those people who work with you, is a story about Theodore Roosevelt – President of the United States (1901–1909). During his service, President Roosevelt had an amazing ability for never walking past any member of staff without knowing their name, making a whimsical remark, rambling off a personal joke or just making them feel appreciated. By nature, he knew that every single person in the White House were an integral part of its functioning, even Alice, a kitchen maid (not someone who passes by in the hallway) was acknowledge by him and her great homemade corn bread. 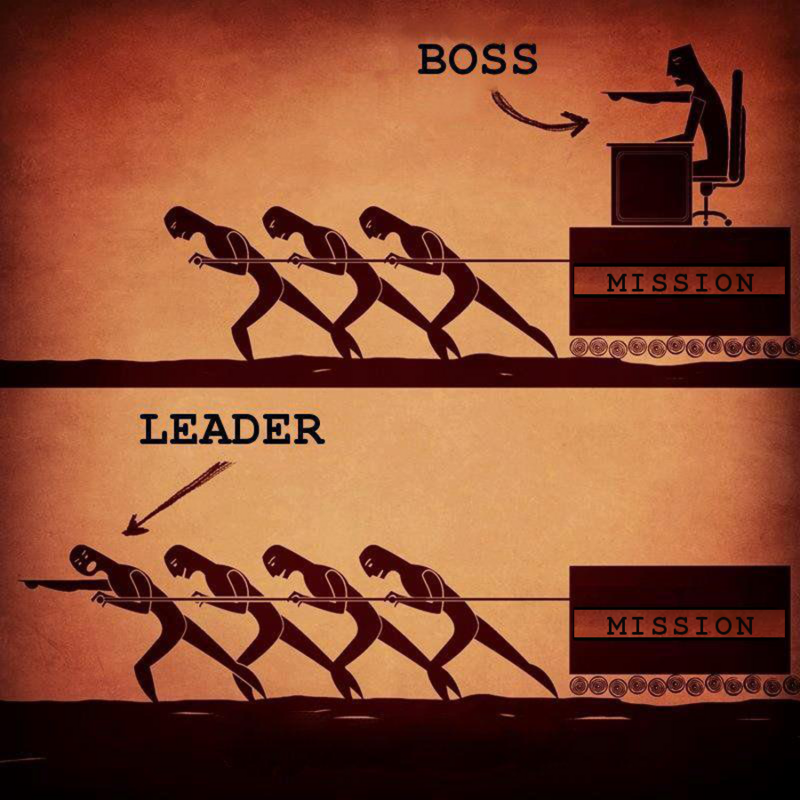 Be a Leader – Not a Jerk! If you ever think that your team is working against you, not doing as you demand or being completely lazy, just remember to be a leader to them and not a boss that expects the worst! Thank you so much for believing in me and I can’t thank you enough for always telling me that everything’s gonna be fine when I feel like quitting. I’ve never seen the great things that you have just enumerated above and didn’t realize that yeah I’ve improved a lot from being just a simple Customer Service Representative to Executive Assistant and it won’t happen if it wasn’t for all your help. You have been so patient with helping me out with the new things that you’ve introduce me to and you didn’t stop believing in me even if I fail sometimes. You always appreciate my work and that inspires me, although there are really times that I can’t be too focus with the work because of emergencies. How can running your own business and having a great team around you not be the best activity in the world if you are getting emails from team members like above. Thank you Han and Thank you to the whole team – you are all rockstars!!! This now made me cry. I can’t believe you just posted my entire email.